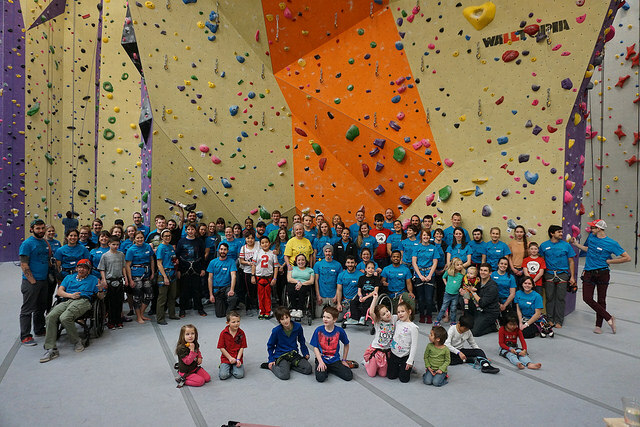 Join us for a FREE adaptive climbing clinic. Adaptive Ascents Clinics are designed to offer adaptive climbing opportunities to any individual with a disability or exceptionality. Whether you’ve climbed before or if you are new to climbing, this event is for you! Come experience the joys, benefits, and challenges of rock climbing with our amazing staff and volunteers. Participants click here for information and booking. 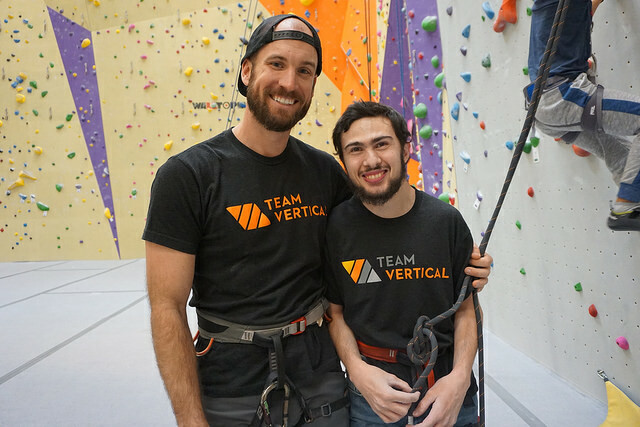 We are always looking for volunteers to help belay, cheer on, and introduce climbing to our adaptive participants! We will host a mandatory training for all new volunteers the night before the event. If you have already volunteered at an event then you are welcome to join the training but it is not mandatory. If you are not already top rope proficient at Vertical Adventures, please take time prior to the event to take your top rope test. All volunteers assisting with this event can climb for free all day after the event! Volunteers click here for information and booking.